If you’re looking to find an astrologer in Asia then you’re in the right place, as I’ve provided the contact details of highly recommended individuals, trusted by Star Sign Style. This list of astrologers has been compiled to provide you with information on astrologers who offer private astrological consultation in person. You’ll find astrologers based in Indonesia, Japan, Hong Kong, Malaysia, Singapore, Thailand – all across Asia. I’ve included nothing less than the best level of professionals, who I believe are both highly qualified and ethical in their practice. If you’d like to share the details a particularly good astrologer that you’d like to see in this directory, please email: kimberly@starsignstyle.com with their contact details, and any relevant information or their speciality. Based in Hong Kong, Maxine is available for private consultation offering guidance on relationships, character analysis, children’s charts, vocation and forecasting. She also consults by telephone, Skype, and provides online consultation. Maxine integrates family constellation concepts to enhance her astrological analysis. Certified as hypnotherapist and Reiki master, Maxine was on the board committee of the Hong Kong Astrology Club and is now working as an astrologer with availability to suit. The best way to contact Maxine is by email maxinewan34@gmail.com. Read more about Maxine or visit her website here. Danish-born Henrik has practiced astrology for over 10 years, and offers astrological services in Singapore. He offers private consultation in person and also via Skype across business and personal astrology, including character or birth chart analysis, yearly forecasts, relationships consultations and electional astrology. The best way to contact Henrik is by email – enquiry@bisboastrology.com, or by telephone, +65 8111 4773. An expert in Verdic astrology and soul healing, Raymond has conducted more than a thousand readings for clients worldwide, including a number of high-profile celebrities. He offers personal annual forecasts and an exploration of the Verdic birth chart via his base in Ubud – ‘Shivaloka’, a divine space full of sacred jewelery. The best way to contact Raymond is by email – raymond@omshivaloka.com, or by telephone +628 21 4499 2178. Author, teacher and internationally revered lecturer Alan provides a myriad of services, from natal chart interpretation, electional charts and horoscopes for newborns, to esoteric examinations and much, much more. Although Alan is a resident of Bali, he’s oftentimes travelling the US and Europe, so do refer to his website for availability. The best way to contact Alan is by email – alanoken@alanoken.com. A student of renowned astrology school, Liz Greene’s Centre for Psychological Astrology, Evelyn is a talented and highly qualified astrologer who offers readings for help in any area: love, career, relationships, or life-changing decisions. One to one consultations are available in Ubud and California, or readings are available via phone or Skype. 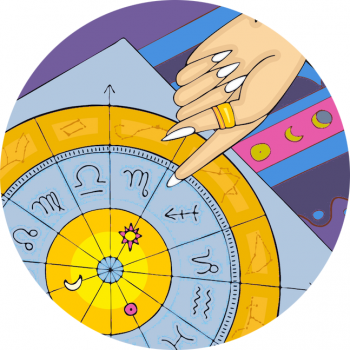 If you’re struggling to find an astrologer to help you, get in touch with Star Sign Style! I’ll be happy to put you in contact with a professional astrologer located near you, who can assist with your personal requirements. Email kimberly@starsignstyle.com with details of what you’re looking for. If you know a super astrologer that you’d love to share the contact details of, email or tweet @starsignstyle, or send via Facebook!